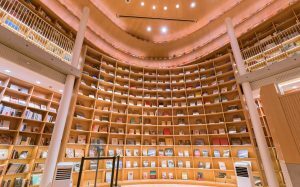 The 2019 China Bookstore Conference just announced “The Most Beautiful Bookstores of the Year”. A total of 144 bookstores were applied for the competition and 16 were selected. 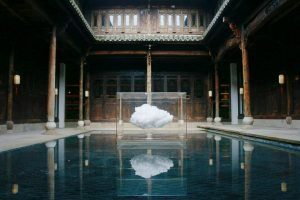 Among the 16 winners, “Duo Yun Shu Yuan” at Guangfulin, “Space of Light”, and “Zhong Shuge” in Xuhui from Shanghai were selected. 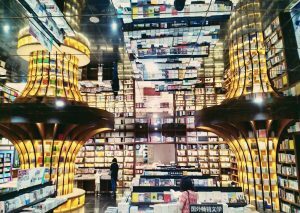 Zhong Shuge Xuhui Store is located at Greenland Being Funny, with an area of 1,750 square meters and a stock of 3.5 million books. The theme of Zhong Shuge Xuhui Store is “Shikumen”. Architectural elements are arranged throughout the whole space to create a unique Shanghai style. In the Guangfulin Cultural Site of Songjiang District, there is a typical China Hui-style “Ming Dynasty High House”, which has been carefully designed and transformed into “Duo Yun Shu Yuan”, and has become a new cultural landmark in Shanghai. On June 26, 2018, it was officially opened to the public. It covers an area of 1,600 square meters. It reflects traditional Chinese culture. The main body of the building is a wooden structure. It holds 20 kinds of ancient books related to Songjiang’s humanities and history, one of the most important ancient book collections in China. 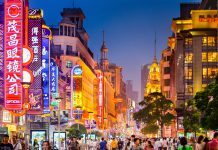 If you are staying in Shanghai for Spring Festival, your day trip options are limited as many things close down, but you can choose one of these bookstores to go and get lost in a story for an afternoon.